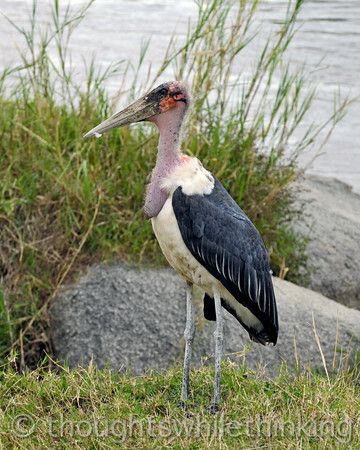 Marabou Stork, a scavenger. With a wingspan of up to 10 feet, this bird is in a class shared only with the Andean Condor. Its nearly bald head lets this bird poke its long beak deep into carrion without any feathers to get messy.